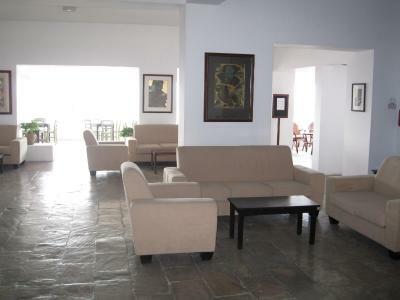 Lock in a great price for Axiothea Hotel – rated 9.3 by recent guests! The room and the public area was very clean and tidy. The owners Andre & Antonio was very friendly, eager to help at any time. The breakfast was good , variety of of food . Home made including the jams. The dining room comfortable and clean. 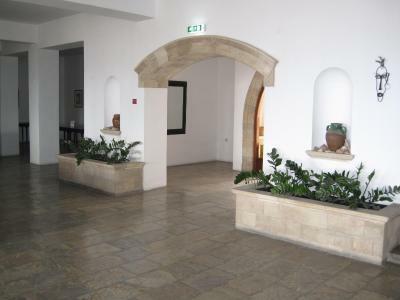 The hotel is located in a very good location to explore pafos and the area.The view from hotel is spectacular. 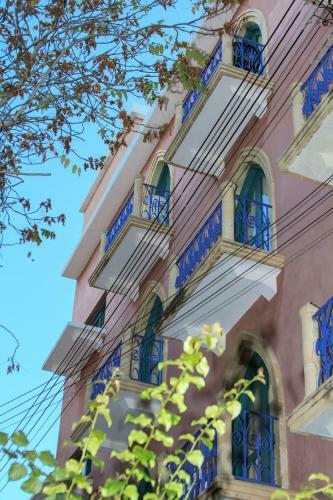 Hotel is located at hill facing the sea, a few minutes walking from the old city center with its cafes and restaurants, and about 10 minutes driving from the touristic waterfront. 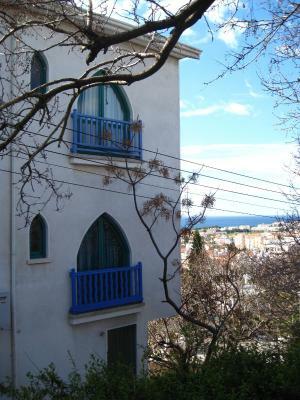 Rooms have balconies with sea view. Great breakfast. Great service. Very clean hotel with great location. Loved the view at restaurant/reception. The staff was increadibly helpful. 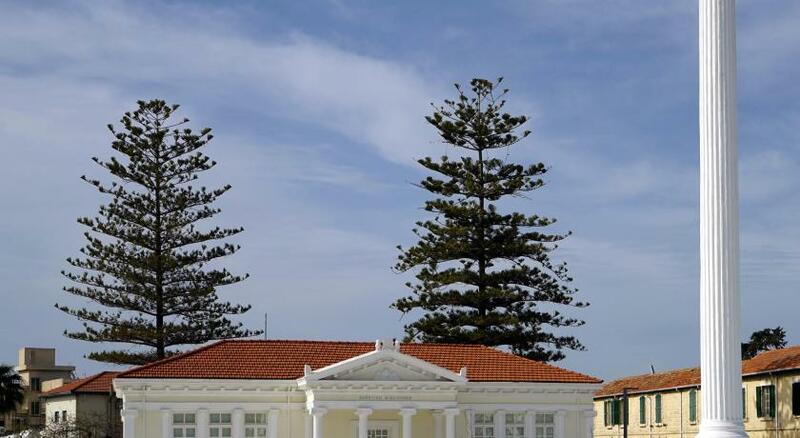 They gave extraordinary good hints on where to eat, what to visit, the surrounding and even the history of Paphos and other parts of Cyprus. Definitely worth a visit! Amazing stuff, helped with recommendations and any question. Comfortable and extremely clean room, nice breakfast. THE HOTEL LOCATION AND VIEW , ROOM SIZE VERY GOOD , STAFF FRIENDLY . Location is good for those who are looking to be away from big tourist masses. 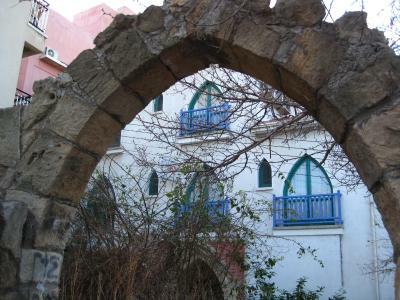 Hotel is in old part of city. Around is many great restaurants and small shops. Close to public transport. Very welcoming and responsive atmosphere. Family owned hotel, great breakfast, very very helpful sfuff!!!! Axiothea Hotel This rating is a reflection of how the property compares to the industry standard when it comes to price, facilities and services available. It's based on a self-evaluation by the property. Use this rating to help choose your stay! One of our top picks in Paphos.Located in the old part of Paphos, the family-run Axiothea offers accommodations with free WiFi in all areas and rooms, breakfast and spectacular views of the Mediterranean. It includes a bar, private art gallery and is adjacent to a municipal park. The air-conditioned Axiothea Hotel rooms feature floor-to-ceiling windows, while some enjoy views over the Mediterranean Sea and some inland views of Paphos town and the neighborhood. They are equipped with a telephone, LED TV and small fridge and they all have a private bathroom with free toiletries. 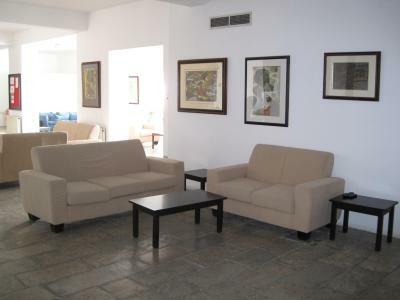 The hotel is 1.9 mi away from the nearest beach and 11 mi from the popular Coral Bay. 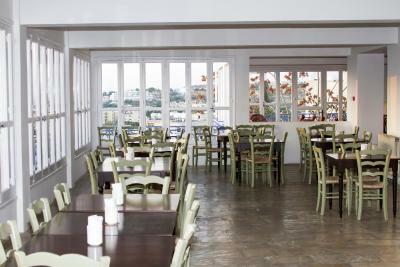 It is within walking distance from shops, taverns, cafés and museums. Paphos International Airport is at 11 mi, while Karavella Bus Terminal is within walking distance. Private parking is available on site free of charge. 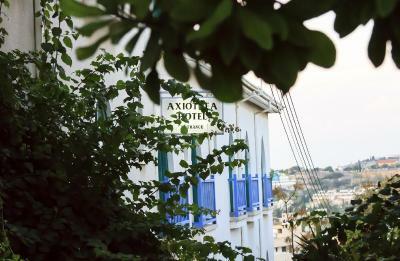 When would you like to stay at Axiothea Hotel? Overlooking the Mediterranean Sea and downtown Paphos from its private balcony, this air-conditioned room has floor-to-ceiling windows and a private bathroom with free toiletries. Hairdryer is offered upon request. Featuring a Juliet balcony with views of Paphos Old Town and the municipal park, this air-conditioned room has floor-to-ceiling windows and a private bathroom with free toiletries. Hairdryer is offered free upon request. Featuring a Juliet balcony or a private balcony, this air-conditioned room has floor-to-ceiling windows and a private bathroom with free toiletries. Hairdryer is offered free upon request. Featuring a small balcony with views of residential apartments and of Paphos Old Town, this air-conditioned room has floor-to-ceiling windows and a private toilet with shower and free toiletries. Hairdryer is offered free upon request. Please note that this room type does not feature sea views. Please note that some rooms open to a Juliet balcony. 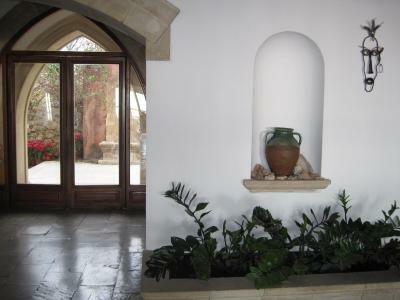 Featuring a Juliet balcony with views to Paphos Old Town and to the adjacent municipal park and views to the sea from its windows, this air-conditioned room is suitable for family accommodations. Private toilet with shower and free toiletries. Hairdryer is offered free upon request. House Rules Axiothea Hotel takes special requests – add in the next step! Axiothea Hotel accepts these cards and reserves the right to temporarily hold an amount prior to arrival. Kindly note that guests coming to Axiothea Hotel by public transfer from Paphos Airport (bus No 612), should reach the Harbor Main Bus terminal and then change to bus No 618 for Karavella Main Bus terminal. On this route they can choose to get off at "Apostolou Pavlou 12 Bus Stop No 332", which is on the main road just under the hotel, or reach the Karavella terminal station and walk approximately for 0.6 mi in order to reach the property. For arrivals that require late check-in after 23:00 and until 01:00 there is a surcharge of EUR 10 per booking, which must be confirmed and paid in advance and it is nonrefundable (charged to the credit card provided with the booking). I liked eveythiing!! There is not something i am dissappointed about. The hotel and room were spotless clean bright and well cared for. The position was fabulous and staff helpful. Thanks to all for a lovely stay. The service orientation and hospitality of the whole hotel team is really great. Everything seems to be well thought through and the cleanliness is perfect. Lovely breakfasts. Lovely staff. Clean and comfortable room. I'd stay here again next time I'm in Paphos. The staff was super helpful and nice. Everything is thought through - including a basket of adapters available for guests! 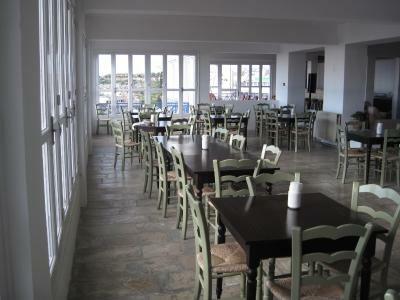 The breakfast is great, vegetarian and meat options available, with a gorgeous view! Lovely owners, beautiful music playing at reception, wonderful view, best neighborhood in Paphos city. The staff were very welcoming, friendly and helpful. Breakfast was great, lots of variety, and fresh!! Great views over the city. The room and the breakfast area was a bit chilly for us, but considering the time period we travelled there, it was understandable that without extra heating the temperature was like that in the house. The breakfast was quite good, even with fresh fruit salad. 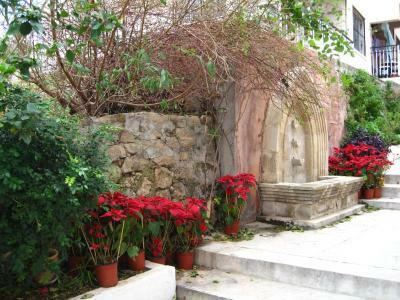 The location is perfect, just 5 minutes to the centre and 20-30 minutes walk down to the sea and old town. Only one plug socket in the room. Shower could have used better water pressure and not always hot. However, these are very minimal issues. Great stay overall! 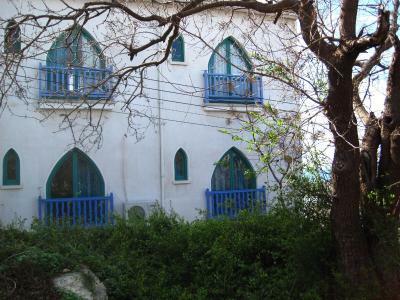 Good location between the harbour and town centre. Good breakfast. Lovely staff on hand to give any information needed. Clean rooms. The only complaint is that there was a bit of noise from the road.